Hoop Guy visits St Andrews! 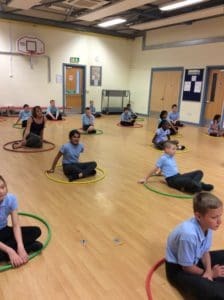 On Thursday 10th May St. Andrew’s CEVA Primary were lucky enough to have Hoop Guy from Britain’s Got Talent come to school. 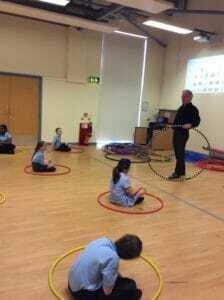 He spoke to the whole school about how his career began and how he only learnt to hoop at 53! He was an inspiration to the children and encouraged them to keep on learning, he backed up our value of perseverance and how it is OK to find things challenging. Hoop Guy then worked with Year R teaching them games to play with hoops. 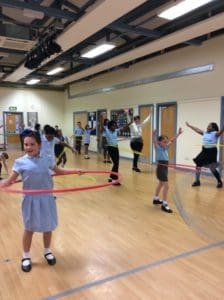 He quickly moved on to teach our Year Five Play Leaders how to hoop. 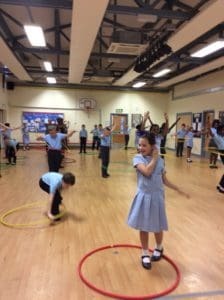 By the end of the session they could all hula hoop and even began attempting tricks! 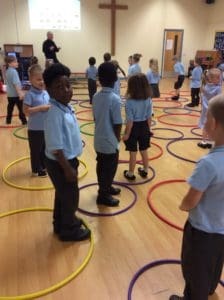 We hope the Play Leaders will show us some moves on the playground in the forthcoming weeks.